Pangu Team has just pushed a new version 1.1 update for their English version of the iOS 9.3.3 jailbreak. 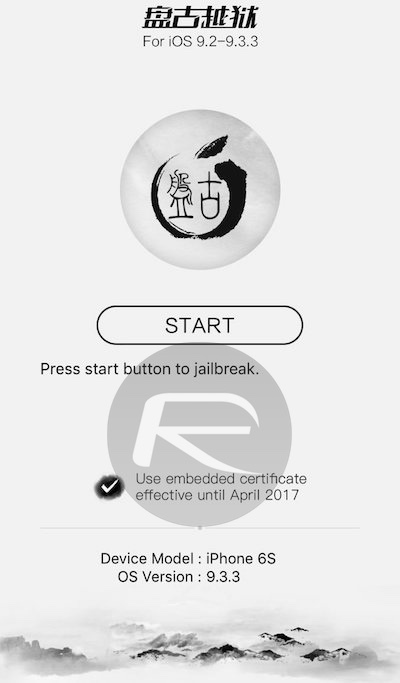 This updated Pangu English version of the jailbreak app adds a new option called “embedded certificate” which basically adds a 1-year enterprise certificate instead of the free developer 7-days certificate, just like how it has been in PP Chinese version of the app. What this basically means is that now your English version of the jailbreak will last for 1 year instead of 7 days before it needs to be re-signed and re-sideloaded again. 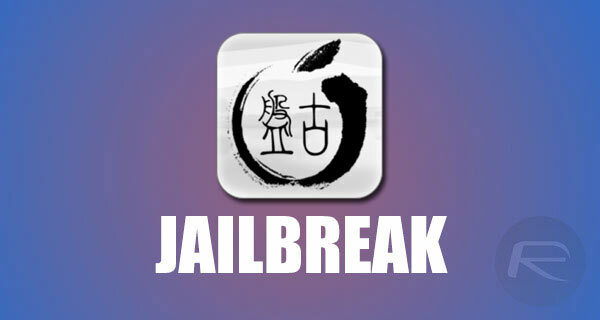 However it’s important to note that the jailbreak is still of semi-untethered variety, which means you will still have to re-jailbreak your device on every reboot to put it back into jailbroken mode, but that can be done directly on the device using Pangu’s jailbreak app without needing any computer. The good thing about the update is that you don’t really have to start everything from scratch again to get the 1-year certificate now on your English version of the jailbreak. You can update your existing jailbreak to last 1-year by simply re-jailbreaking using the updated Pangu 1.1 version of the jailbreak app as well as Cydia Impactor. We will be detailing this process in a separate post shortly. In the meantime, you can head to our Pangu download page and grab the updated version 1.1 of the Pangu jailbreak IPA file, as well as Cydia Impactor for Windows or Mac, to sideload the updated IPA file onto your iPhone, iPad or iPod touch device, from here: Download Pangu iOS 9.3.3 Jailbreak For Windows, Mac, Linux [English Version]. Update x1: Our tutorial is up! Follow the instructions here to update your existing iOS 9.3.3 English Pangu jailbreak with 1-year enterprise certificate: Update iOS 9.3.3 Jailbreak To Pangu 1.1 With 1-Year Certificate, Here’s How. What if you jailbroke using the safari based PP jailbreak? Does this apply to the users who used that? Does that jailbreak only last 7 days also? I have the safari version. And mine says 1 year. I turn off my iPhone and just run the app on my phone and everything works again. In 2017 news – Apple is now selling jailbreak subscription packages to counteract the total takeover of android. $30 a month and $200 a year. They’re also selling an actual iBrick made out of old compacted and melted down iPhones for $500 each! What a deal!